I am only slightly embarrassed to say that while my wife and I were busy explaining to friends and strangers that the answer to their “When are you having children?” questions was “Never”, we also brainstormed names for the little genius. I liked Romie Lane, the name of a street in a Steinbeck novel, East of Eden I think. She liked the sound of Roma. What can I say? There is either some deep psychological well to drill here, or we are simply pretentious semi-literates that enjoy naming things. The car, for example, is named Bess, after my wife’s grandmother, who had similarly sturdy, wide hips and a heavy backend. We also unapologetically and ruthlessly offer name suggestions for friends’ companies, boats, and especially babies. Yes, we know we are annoying. At least none of our baby branding ideas were highlighted as ludicrous in Drew Magary’s semi-hilarious story: American Baby Names Are Somehow Getting Even Worse. Now, you and I both know that Americans of all stripes have grown progressively worse at naming children. 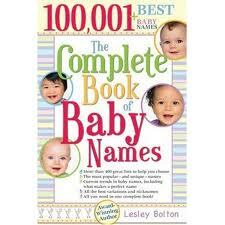 It’s not enough for your child to have a normal name and then try to stand out on their own merits down the road. No, no, no. Every parent now wants every child to be unique and special from the moment the doctor wipes all the amniotic fluid off of it, even though all babies look alike and contribute nothing to society. There’s a bizarre assumption that if you can make your child’s name unique, the child will be unique. And that’s NEVER the case. Chances are, if you name your kid Braxlee, he or she is gonna end up bent over the sink in the back of a TGI Friday’s, offering tail in exchange for a better skim off the tip pool. Filed Under: Advice & Tips, Comedy, Parenting, Uncategorized, Why No Kids?